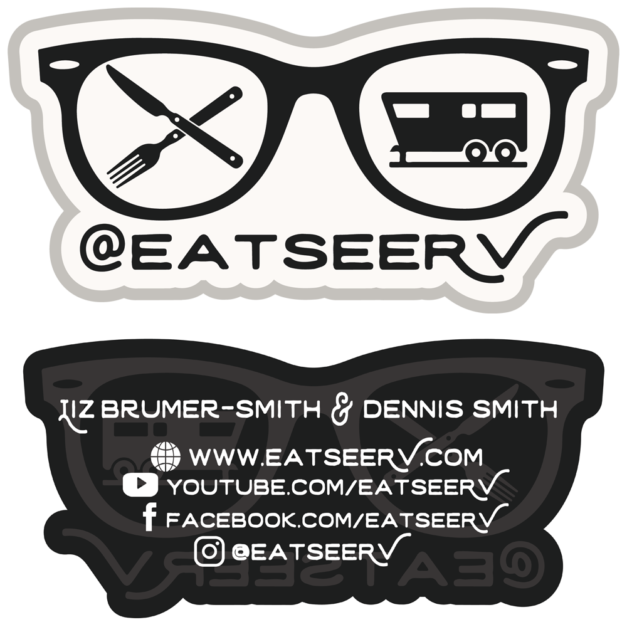 ESRV logo stickers - Eat See RV! These ESRV logo stickers will look freakin’ sweet on the side of your rig, tool box, toad car, washing machine, fridge, helmet, laptop or really anywhere you want to stick them! Custom printed by Sticker Robot. Die-cut & silk screen printed with the highest quality UV protective ink means once you stick it it’ll look fabulous forever!